Dr. Arthur William “Bill” Guy passed away on April 20, 2014 in Seattle, WA. Bill was born in Helena, MT, on December 10, 1928. From 1947 to 1950 he served in the U.S. Air Force as a radar technician, and he was called back to duty as a reservist in the Korean War from 1951 to 1952. On the GI Bill, he received B.S. (1955), M.S. (1957), and Ph.D. (1966) degrees, all in electrical engineering, from the University of Washington, Seattle. His Ph.D. research entailed a multi-month sojourn in the Antarctic, leading to the development, construction, and establishment of the electrical properties of a 33.5 km long dipole antenna buried at the surface of the 2.5 km thick ice cap near Byrd Station, Antarctica. In 1966, Dr. Guy joined the University of Washington faculty of the Department of Rehabilitation Medicine where he served until he retired from the University in 1991. During that period, he became a Professor in the Center for Bioengineering, with a joint appointment as Professor in Rehabilitation Medicine and Adjunct Professor in Electrical Engineering. During his tenure, Dr. Guy was Director of the Bioelectromagnetics Research Laboratory and was involved in teaching and research in the area of biological effects and medical applications of electromagnetic energy. Dr. Guy was a Fellow of the AAAS and the IEEE. He was a charter member and former President of the Bioelectromagnetics Society and received the 1987 d’Arsonval award for his extraordinary accomplishment within the discipline of bioelectromagnetics. Dr. Guy chaired the American National Standards Institute (ANSI) C95 Committee during development of the 1974 and 1982 ANSI C95.1 standards, which specify safety levels for human exposure radio-frequency fields. C95.1-1982 was the first standard to use SAR as a dosimetric quantity, resulting in frequency dependent exposure values. As a member of the National Council on Radiation Protection and Measurements (NCRP), Dr Guy Chaired Scientific Committee 53 that developed NCRP Report 86, “Biological Effects and Exposure Criteria for Radiofrequency and Electromagnetic Fields.” Dr. Guy also contributed to NCRP Report 67, Radiofrequency Electromagnetic Fields—Properties, Quantities and Units, Biophysical Interactions and Measurements,” which provided a perspective for quantitatively relating a biological effect to a particular exposure. Here he successfully instilled rigor into the definitions of fundamental quantities and units for nonionizing radiation. 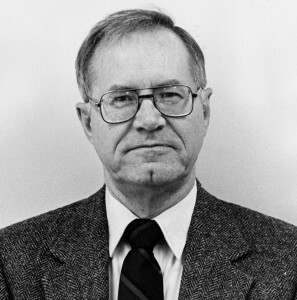 He also served on many other governmental groups and committees on biological effects and exposure standards for nonionizing radiation, including the IEEE/ICES (International Committee on Electromagnetic Safety) and IEEE/COMAR (Committee on Man and Radiation) which are important in creating rational safety standards and educating the public thereon. Dr. Guy was on the editorial boards of the Journal of Microwave Power and IEEE Transactions on Microwave Theory and Techniques. He held memberships in Phi Beta Kappa, Tau Beta Pi and Sigma XI. He published 171 papers in the scientific literature. After retiring from the University, he continued to work as the principal of BioEM Consulting through 2005.